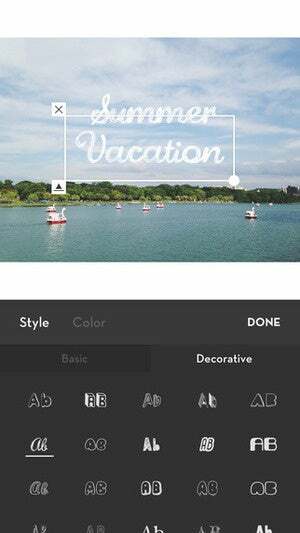 Filters are fine, but take your Instagram posts to the next level with these editing apps. Photographers, video personalities, fashion bloggers, and famous foodies use these seven apps to take their Instagrams to the next level, and you’d never even know it. Instagram’s own filters go a long way toward making your lattes look far richer than they do in person, and the app is constanty updated with fresh options. 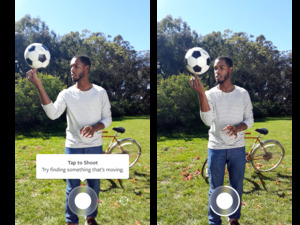 But the popular photo- and video-sharing app doesn’t want to overload you with options, which is why its most game-changing features have been spun off as separate apps (we’ll get to those in a minute). So you think Instagram’s filters and editing tools have grown up in the last few years? You haven’t yet met Afterlight. This photo-editing app has 74 adjustable filters, 78 textures, and 128 frames to fit every mood or season, plus 15 cropping tools to control every aspect of your photo. 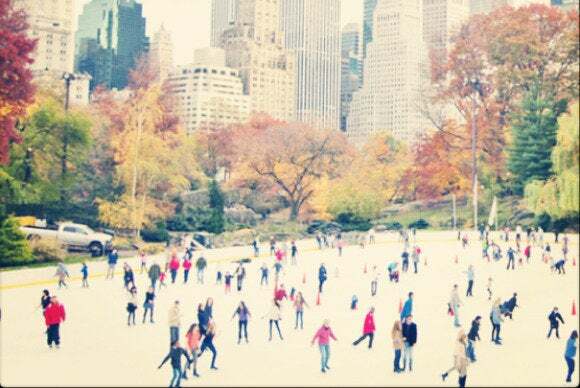 Afterlight goes way, way beyond Instagram's own filters. You can spend an hour tweaking the settings on one image until you’ve transformed a photo of trees into a muddy watercolor, so you’ll have to exercise some restraint. But Afterlight has options Instagram can only dream of, which make your photos infinitely more beautiful than your trusty Valencia/Lux combo can. It’s well worth 99 cents. Let’s get this out of the way: VSCO Cam is the app that professionals prefer. VSCO makes top-notch photo-editing software, and its app brings that level of gloss to your amateur iPhone and Android shots. VSCO Cam can make almost any shot look a lot better. 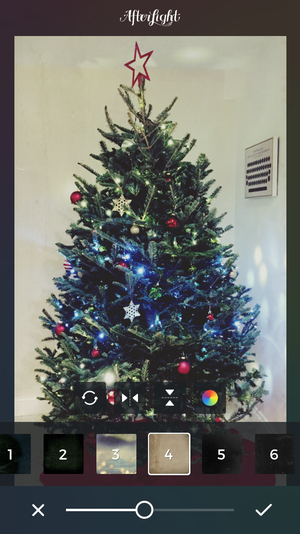 Like Instagram, VSCO Cam offers filters and strengthening sliders for everything from saturation to warmth. But (sorry, Instagram) VSCO Cam’s presets are above and beyond Kelvin and Nashville—plus, you can buy themed filter packs to round out your options. The collections are artistic instead of cheesy: See “Analog Classic” or “Faded & Moody.” If you want your photos to look ripped straight out of a back issue of National Geographic (or Vogue), VSCO Cam is your best bet. To make your photos look especially cinematic, you need Whitagram. The app adds a white letterbox to your landscape and portrait photos. It sounds almost stupidly simple, but if you’ve ever watched a classic movie and appreciated the detail you see in frames with proper ratios, you know how much better letterboxed images can look. Besides letterboxing your photos and video, Whitagram lets you add bits of text and art too. Whitagram makes your photo square by filling in the background with white, so you don’t lose a thing, which isn’t crucial now that Instagram allows rectangular photos, but it still makes your images a little grander. Whitagram is a basic service, but a necessary one. If you want to recreate your favorite lifestyle bloggers’ Instagram photos, you need Over. The app lets you add text or artwalk on top of your images, which is nothing extreme, but still a great way to caption a seasonal change or a major life event. The text makes your photos more visually interesting, and can replace—or complement—your standard Instagram captions. A little text and a graphic or two can add elevate a plain photo to an inspirational message. Over just got a dramatic overhaul (ha, get it? 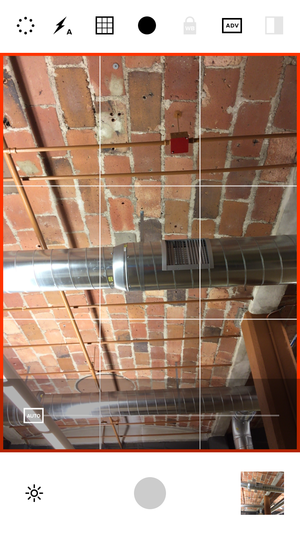 ), that added a slew of new features, like filters, new art packs, and 3D Touch integration, which made the app much easier to use. Over’s custom fonts aren’t free; you’ll have to cough up $3.99. Over has a free option, a separate app called Quick, but your font selection is limited and it slaps a watermark on your photo unless you pay $1.99—no good. 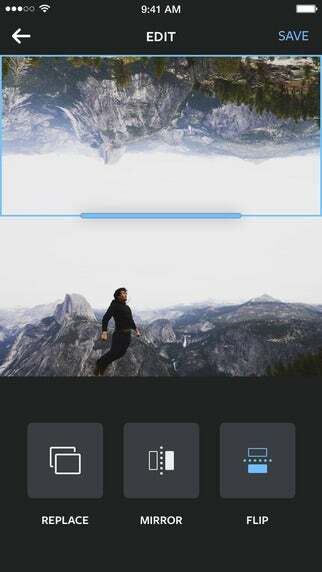 After seeing the popularity of apps like Pic Stitch, which let you turn several images into a collage, Instagram released its own version called Layout. Layout can do things other collage apps can't, like this cool mirror effect that puts mountains in the sky. Layout is definitely glossier than its rivals, with unique features like Faces which immediately pulls up all your photos with people in them. Collaging up to nine photos is a breeze with Layout’s handles, which let you push and pull to adjust photos until they’re just the right size. You can also shoot photos within the app for super quick collages creation. Instead of adding to its in-app editing toolkit, Instagram launched the stand-alone Hyperlapse app on iOS for creating time-lapsed videos. Instagram users were already experimenting with time-lapsed videos with other tools, and the iOS camera offers a similar feature, but Hyperlapse makes it easy to shoot, filter, and share those clips quickly. Hyperlapse is great for things like crowds, street scenes, and sunrises, but it's fun to push the boundaries and create something unexpected too. You probably won’t use the app very often, but it churns out great videos for specific purposes. For instance, if you’re filming crowds of people moving, sunrises and sunsets, or other scenes that change over time, Hyperlapse is a great way to condense that into Instagram’s 15-second limitation. 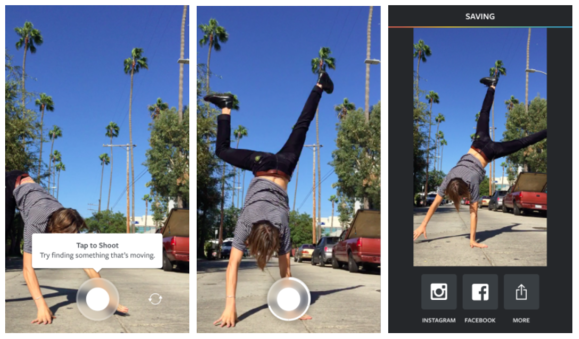 Like Layout and Hyperlapse, Boomerang is an Instagram creation. The app is the latest in Instagram’s trio of creative tools designed to complement your images and videos, and it does something truly unique. Boomerang creates unique, GIF-like videos that go forwards and then back again. Boomerang lets you shoot a burst of 10 photos from your front-facing or rear camera, then turns the photo burst into a smooth video that loops back and forth. It creates a neat effect when you’re capturing movement, and adds a little extra oomph to what would otherwise be a boring video.